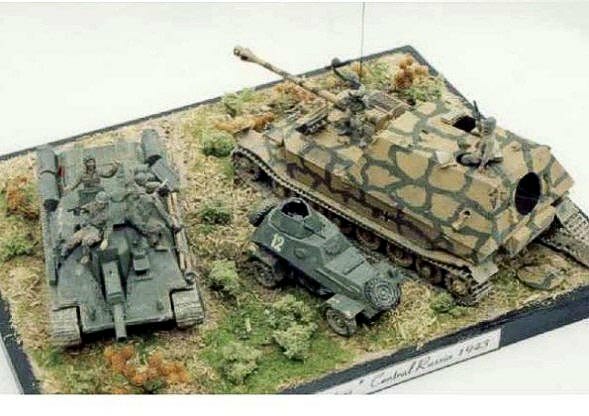 This diorama in 1/72 scale is inspired by photo of destroyed Ferdinand published in ”Ferdinand, Elefant” publication by Wydawnictwo Militaria, my knowledge in history of Kursk battle and own fantasy. Colleague Petr Vanek has advised me the witty title for this diorama. Thanks again!